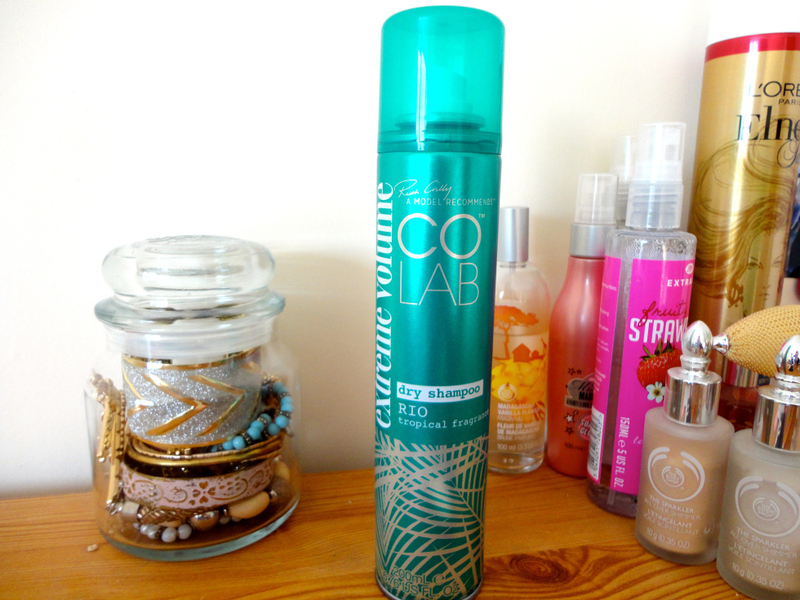 I loved COLAB dry shampoo, so when I discovered that there was an extreme volume dry shampoo I knew I had to test it and to see if it was better than the normal dry shampoo. It is safe to say I was fairly disappointed, maybe I had my hopes too high or was expecting too much. I will always be honest about when I do not like a product and this dry shampoo certainly isn't for me. I first used it on a night out, I was really excited as I love trying out new products but I did not like how it felt in my hair. Even when I use hairspray my hair doesn't go like this, the COLAB extreme volume dry shampoo made my hair stiff and it had this really weird/sticky/powdery texture to it. Yes it did add volume to my hair but it really wasn't worth it, even the volume faded after a while. When you put hairspray in your hair you know you can brush it out, this COLAB product cannot be brushed out. It remained disgustingly in my hair until I washed it out two days later, I have never been more relieved to wash my hair and dry it. I then tried it again a couple of days ago and it made my hair go exactly the same. The texture of it in my hair was just awful and I think I'm just going to through it away, I was really disappointed and am saddened that it did not live up to my expectations. I will probably still try out different COLAB products in the future but this one just isn't for me. The only thing I liked about it, was the fragrance and loved the Rio scent. It smelt of summer and a tropical holiday. 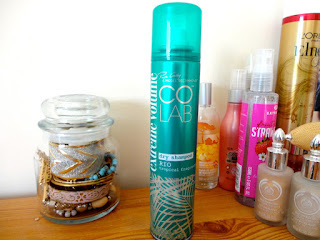 Any thoughts on COLAB's extreme volume dry shampoo?